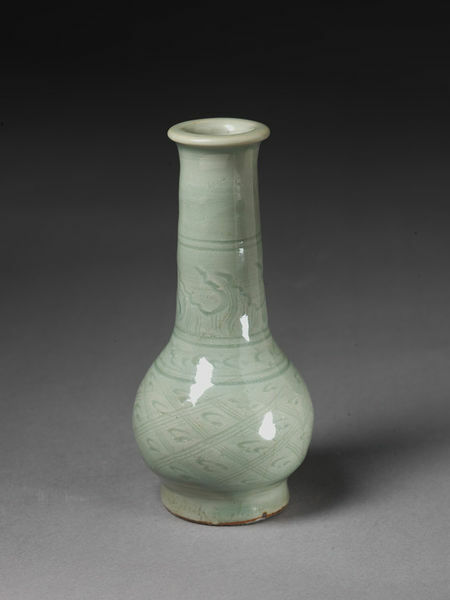 Bottle of stoneware. Bulbous with long thick and spreading mouth. 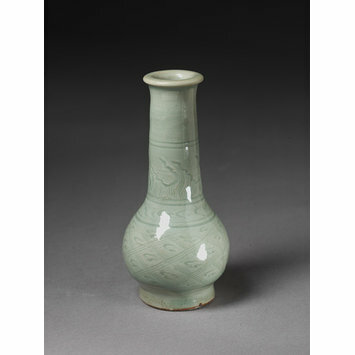 Decorated with incised diaper and wave pattern under a celadon glaze.